Now you can own a 4-string Precision-style Bass Guitar at the fraction of the price of the originals! 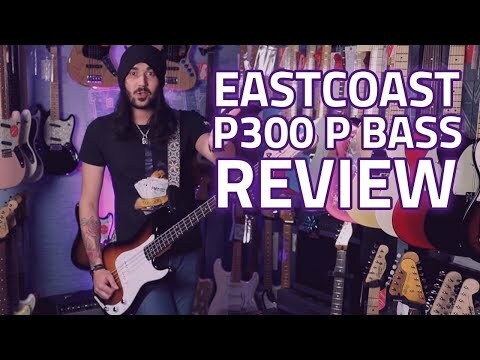 This Eastcoast P300 in Trans Red finis..
Now you can own a 4-string Precision-style Bass Guitar at the fraction of the price of the originals! This Eastcoast P300 in Trans Red finish features a solid Alder wood body, 20-fret rosewood fingerboard and a classic 'PB' bridge with 'PB' style single coil pickup. The P300's bolt-on hard maple neck is extremely playable, and is priced for the entry-level beginner to get started on a 4-string bass or as a backup for a seasoned professional.